You're already well aware of the horse and carriage, and maybe even the barn owl ring bearer...? Surely you're already well acquainted with the adorable 'Best Dog' - but have you come across an alpaca at a wedding lately? It's no joke, the trend of exotic animals at weddings has been slowly making its way across the globe as couples looks for more and more unusual ways to make their wedding day 'unique' and entertain guests with something truly out of the ordinary. And alpacas are the new way to do it, apparently. "It's big in the UK," says Ruth Newton, who together with her husband Stewart and their son Charlie (15) runs the Curraghduff Farm in Oughterard, Co. Galway, currently home to eight alpacas. "Why not? People like something different on their special day. [So] as long as the alpacas are happy and comfortable..."
The trend made its way from Asia to the US and on to the UK over the last couple of years, and has become an increasingly popular trend appearing in animal-besotted couples' wedding albums. 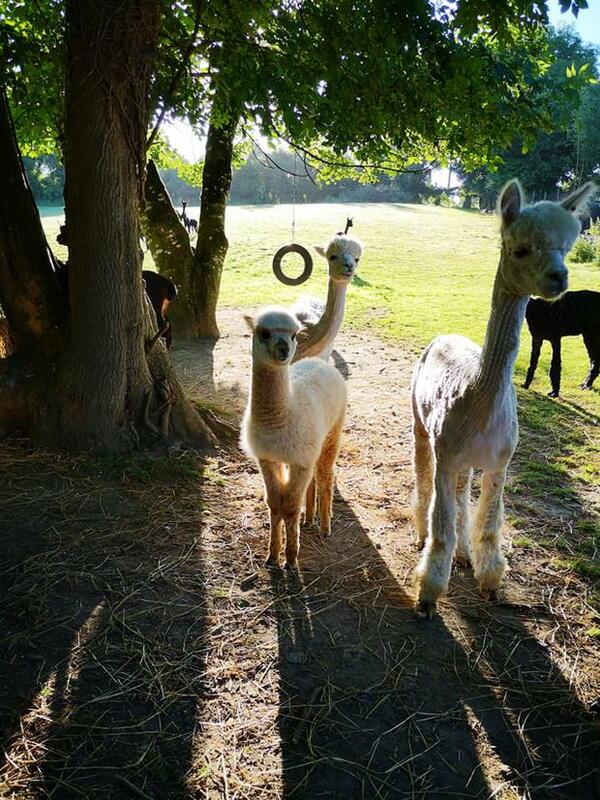 Paul MacDonnell, chairman of the Alpaca Association of Ireland runs a farm of around 70 alpacas, and has received plenty of interest in the animals - in fact, he has two weddings on the books for later this year. "We have two weddings coming up," Paul, who runs Hushabye Farm Alpacas on the foothills of the Slieve Bloom Mountains, tells THEVOW.ie, "maybe three or four - but that's the plan for now anyway." One of the weddings, he explains, involves a groom planning to surprise his bride with two wooly guests. She is besotted by alpacas, Paul says, and her groom has arranged to have two of the cute creatures at their reception as a wedding gift. "We were a bit sceptical," Paul says about the burgeoning wedding trend, "but we bring them to a lot of the shows and we'd know which ones are friendly and docile and well behaved. We have people coming to visit them at the farm and we do open days because we're a bit of an attraction." "For weddings, we'd hand-pick the ones with a nice temperment. There's ones you wouldn't let near a place, but there's others so well behaved they could be at a hotel all day and not a bother. Paul explains however that the 'alpacas for weddings' business wouldn't be a commercial enterprise for his farm by any means (Hushabye's friendly herd are farmed for their top quality fleece which is used to make pillows, quilts and baby clothes), but understands why animal-loving couples might want to have them at their big day. "It's something different to have in the family photo album in years to come - and they're very photogenic!" According to Ruth, friendly alpacas are used in elderly care homes for therapeutic visits and can make for quite affable guests at the right event. "Alpacas can be sociable and curious of us humans but it really does depend on their personalities," she explains. "I love the alpaca craze as I'm getting the chance to meet more and more people with a love for alpacas and that must be a good thing." Ruth is hoping to launch the farm's 'Ultimate Alpaca Experience' to members of the public next month, where for €20, animal lovers can walk through the scenic countryside with their very own alpaca. But as regard to weddings, she has no plans to offer anything in the near future anyway. "Possibly," she says. "If the interest is there in a year or so we would consider it. Also [it] depends on whether the alpacas would enjoy it - [it] depends on their personalities." Alpacas are hired by couples to appear at weddings as a 'surprise' for wedding guests, as ring bearers (wearing little bow ties) and of course - for that all important 'unique' photograph. They can also be a source of curiosity for kids at weddings too, who often become enamoured with the peculiar animals and spend their time walking them around - accompanied by a holder - and feeding them carrots. So how much can Irish farms hope to make from their mobile nuptial petting zoo? UK alpaca farm Lucky Tails offers wedding couples a 'Diamond package' - which allows wedding parties to hire two alpacas for 90 minutes, as well as supplying handlers and food for the animals - for €400 (£350). 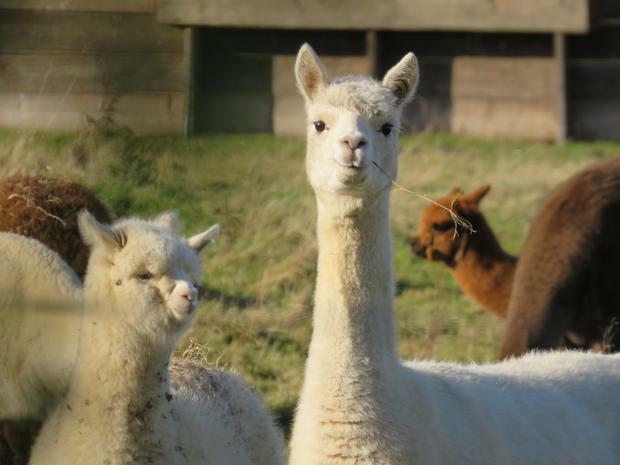 According to Paul there are around 1,500 alpacas in Ireland at the moment - all the most common Huacaya breed - but there's a 'growing interest' in farming them, while numbers in the UK are at around 50,000. For couples considering having the adorable animals at their day Paul advises to make contact with farmers who have a good knowledge of their animals, and who will know which of their heard enjoy attention and human contact. For more, visit Paul's Hushabye Farm on Facebook, and Ruth's Curraghduff Farm Alpaca Experience, also on Facebook.